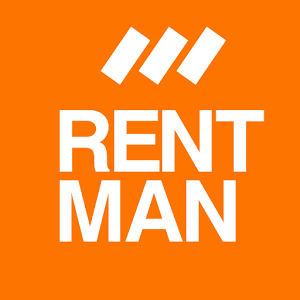 With the help of the API a website is connected to your Rentman account to create an online rental shop. See how partyverhuur.nl is using this shop. Display a list (or selection) of all items of your Rentman account on your website. All items only need to be inserted once into rentman and will be automatically synchronized with your web-shop. Visitors of the website can directly download attached files (manuals, images). Visitors can select a period and the equipment availabilities during this time will be displayed (optional). Visitors can select, request and reserve items directly from the webshop. The visitor selects the desired items and places them in the shopping cart. The visitor then selects the rental period. The visitor then places the order, the webshop recognizes whether the customer is new or existing by comparing the emailadress with the emailadresses in the database. If the customer is new the bank details need to be filled in. When the order is placed a project is created automatically with the selected items and for the selected rental period. The accountmanager automaticaly reseives an email with the order and has the option to directly confirm the order, send an invoice (with online payment link) or send an updated offer. Therefore there is no automatic payment before the order has been checked. To install the rental webshop some technical knowledge is needed. The administrator of your website can probably tell you more about the technical options. The rental webshop is connected to the existing Wordpress website. This could be your existing website or an newly created website with the single purpose to operate as rental webshop. Do you want more options or are you using a different platform? Use our API to create a connection. To make use of the API and the rental webshop an aditional licence is needed.